Three books today for your reading pleasure. 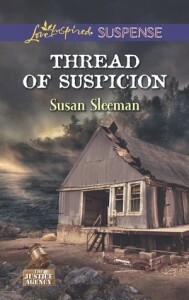 Thread of Suspicion by Susan Sleeman, Love Stands Still by Kelly Irvin, and Barefoot Summer by Denise Hunter. Also I’ve added a new feature–well, an old one that I’m re-instituting. Under my rating is a link to Amazon to make it easier for you to grab the book without having to search. Enjoy. This is the fourth book in The Justice Agency series, but reads as a stand-alone. I encourage you to read Double Exposure, Dead Wrong, and No Way Out as well because they are all wonderful books. Dani’s story touched me. As a woman, I like to think I can tackle any job I set my mind to, but we all need help sometimes. In Thread of Suspicion, Dani has to learn to accept help and it’s hard for her. Her story is both touching and exciting as we see how she became a part of the Justice family. When someone sabotages former navy SEAL Luke Baldwin’s “unhackable” software, there’s more than his reputation at stake. Faced with treason charges, Luke turns to Dani Justice, a computer expert and skilled investigator. 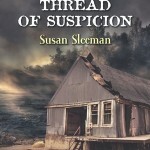 She’s eager to dive into the challenging case…until she uncovers a devastating connection. The hacker framing Luke has a personal, deadly history with Dani. Luke’s code of honor and his growing feelings make him resolved to protect the sweet, strong woman he knows is more vulnerable than she’d admit. But what good is his training or determination against an enemy who can hack into any system and find them wherever they hide? I connected with Bethel immediately–a long car trip stuck between two car-seats equals discomfort for even the most able-bodied. From there on, it was easy to see and feel everything through her eyes. Bethel’s struggle in a new place came to life on the pages, as did the other characters’. 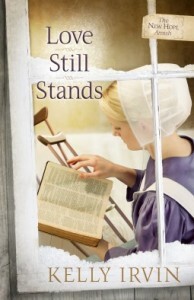 To be honest, before reading this story, I was reluctant to read “another” Amish novel, but this one was so different and refreshing, it has encouraged me to continue reading in this genre. Bethel begins physical therapy, determined to make a fresh start. But that won’t be easy in the town of New Hope, where the locals seem anything but eager to welcome their new Amish neighbors. Amid growing intimidation from the community, Bethel must find the strength to face her many challenges and the faith to believe that God still has a plan–and a love–for her life. The loss of a loved one is a life changing experience. Denise Hunter has taken that experience and given us a glimpse of how hard it is to “just get over it”. An underlying theme is how easily a misunderstanding can happen when secrets are kept. 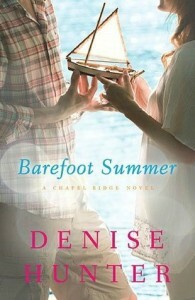 Barefoot Summer was well-written and kept me interested enough to keep coming back when I had to step away for other things. I didn’t connect with Madison and Beckett as well as I would have liked, but their stories drew me in, and I loved Ms. Hunter’s descriptions of being on the water–I could almost feel it, though it’s been years. Madison’s heart closed the day her twin brother died. Since losing her twin, Michael, in a drowning incident, Madison has rejected the faith he lived by. Instead, she’s devoted her life to fulfilling Michael’s dream—winning the River Sail Regatta in their small Indiana town, Chapel Springs. As she trains for the regatta, Beckett O’Reilly is teaching Madison to swim. 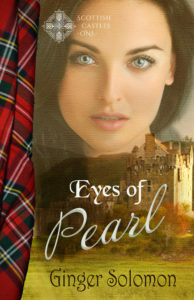 But he’s keeping a painful secret from her—and as they grow closer, that secret threatens to upend their lives . . . and the lives of both their families. I hope you found something to enjoy today.